Gamma-linolenic acid is a type of fatty acid thought to offer a number of health benefits. Found to fight inflammation, gamma-linolenic acid is typically sourced from substances like evening primrose oil, borage seed oil, and black currant oil when used in dietary supplements. In the body, gamma-linolenic acid is used to produce prostaglandins (hormone-like substances that help to regulate the immune system). It is classified as an omega-6 fatty acid. In addition, gamma-linolenic acid is purported to prevent cancer and heart disease. So far, most of the research on the health effects of taking gamma linolenic acid has involved the use of evening primrose oil and/or borage oil. Since evening primrose oil and borage oil each contain small quantities of other substances known to influence health (such as vitamin E), it's important to note that gamma-linolenic acid is most likely not completely responsible for the oils' health effects. 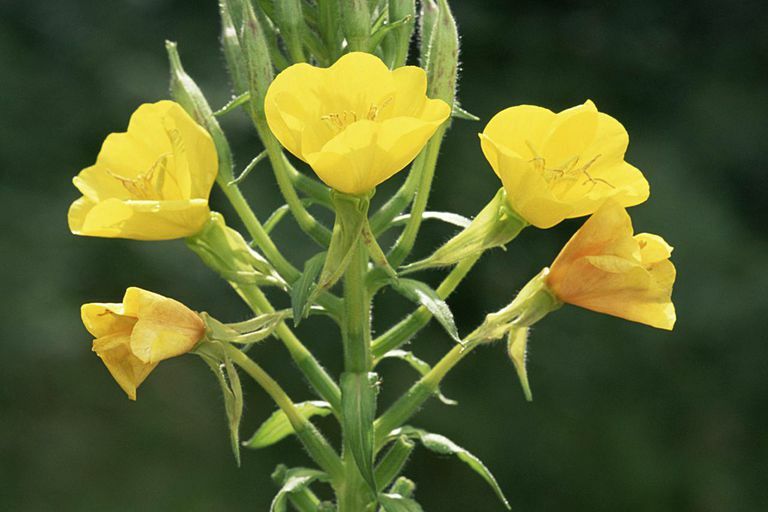 Evening primrose oil may help relieve the itching, crusting, redness, and swelling associated with eczema, according to a meta-analysis published in Current Pharmaceutical Biotechnology in 2006. However, a number of studies on the use of borage oil in the treatment of eczema have found that the remedy may be no more effective than placebo. Borage oil and evening primrose oil both show promise in the treatment of rheumatoid arthritis, according to a research review published in the American Journal of Clinical Nutrition in 2000. Although most of the data on borage oil's effectiveness come from test-tube and animal research, several small studies indicate that borage oil and evening primrose oil may ease tenderness and swelling in people with rheumatoid arthritis. While proponents suggest that the gamma linolenic acid found in evening primrose oil can alleviate menopausal symptoms (such as hot flashes, night sweats, vaginal dryness, and disturbance in mood), there is little scientific support for this claim. In a research review published in the American Journal of Medicine in 2005, for instance, researchers analyzed 19 studies on the use of botanical remedies for relief of menopause-related symptoms and found that evening primrose oil appeared to be ineffective. In preliminary research on cancer cells, scientists have demonstrated that gamma linolenic acid may help slow the growth of tumors and help to improve the efficacy of certain anti-cancer drugs. However, few studies have tested gamma linolenic acid's effects on cancer in humans. Although gamma linolenic acid is generally considered safe, there's some concern that long-term use of supplements containing gamma linolenic acid may suppress immune function and increase the risk of blood clots. In addition, borage oil may cause constipation, while evening primrose oil may cause upset stomach and nausea. In most people, the body naturally produces a sufficient amount of gamma-linolenic acid by converting it from linoleic acid (a fatty acid found in nuts, seeds, meat, and dairy products). However, some people (such as diabetes patients) may not make enough gamma-linoleic acid and may, therefore, benefit from taking gamma-linolenic acid in supplement form. Due to the limited research, it's too soon to recommend GLA supplements as a treatment for any condition. If you're considering using it, talk with your doctor first about the appropriateness and possible adverse effects. Keep in mind that alternative medicine should not be used as a substitute for standard care. Self-treating a condition and avoiding or delaying standard care may have serious consequences. Belch JJ, Hill A. "Evening Primrose Oil and Borage Oil in Rheumatologic Conditions." Am J Clin Nutr. 2000 71(1 Suppl):352S-6S. Henz BM, Jablonska S, van de Kerkhof PC, Stingl G, Blaszczyk M, Vandervalk PG, Veenhuizen R, Muggli R, Raederstorff D. "Double-Blind, Multicentre Analysis of the Efficacy of Borage Oil in Patients With Atopic Eczema." Br J Dermatol. 1999 140(4):685-8. Menendez JA. Ropero S. Lupu R. Colomer R. "Omega-6 Polyunsaturated Fatty Acid Gamma-Linolenic Acid (18:3n-6) Enhances Docetaxel (Taxotere) Cytotoxicity in Human Breast Carcinoma Cells: Relationship to Lipid Peroxidation and HER-2/Neu Expression." Oncology Reports. 2004;11:1241-1252. Morse NL, Clough PM. "A Meta-Analysis of Randomized, Placebo-Controlled Clinical Trials of Efamol Evening Primrose Oil in Atopic Eczema. Where Do We Go From Here in Light of More Recent Discoveries?" Curr Pharm Biotechnol. 2006 7(6):503-24. Takwale A, Tan E, Agarwal S, Barclay G, Ahmed I, Hotchkiss K, Thompson JR, Chapman T, Berth-Jones J. "Efficacy and Tolerability of Borage Oil in Adults and Children With Atopic Eczema: Randomised, Double Blind, Placebo Controlled, Parallel Group Trial." BMJ. 2003 13;327(7428):1385. Whitehouse PA, Cooper AJ, Johnson CD. "Synergistic Activity of Gamma-Linolenic Acid and Cytotoxic Drugs Against Pancreatic Adenocarcinoma Cell Lines." Pancreatology. 2003;3:367-373.